Ledgeview Partners is pleased to announce that we have been named as a Silver Consulting Partner with Salesforce. Unlike programs developed by traditional software providers, the Salesforce Partner Program is built exclusively for the cloud and takes advantage of the cloud’s unique customer engagement models, economics, and potential to deliver unparalleled customer success. The Salesforce Partner Program specifically evaluates consulting partners based on the total contribution they make to Salesforce’s business. “We are excited to take this next step in our partnership with Salesforce. 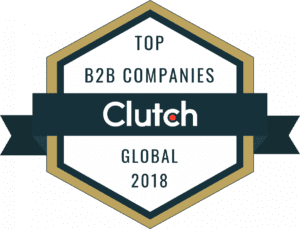 This achievement is a direct result of the dedication that our team has to using their gifts and expertise to help organizations succeed” states Chad Collett, Director of Marketing at Ledgeview Partners. Ledgeview Partners, also a Microsoft Dynamics CRM Gold Partner, helps businesses transform their approach to sales, marketing and customer service by aligning these teams to focus on improving their customer’s experience, and providing management with metrics through technology to evaluate success. Learn more about Ledgeview’s Salesforce services and access customer success stories at www.ledgeviewpartners.com.